When you think of it, why wouldn’t everyone want to be a project manager? The Great Pyramids. Apollo missions. The Stanley Cup playoffs. They’re all projects of one sort or another. To be sure, your projects probably aren’t going to be that exciting, but I seldom hear project managers complain about boredom. In our Project Management Fundamentals classes, I invariably have students who share that they aren’t sure whether or not they have worked on projects. It’s always fun to see them realize that everything they do is projects – they just didn’t know it! 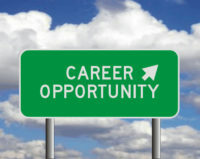 Students working in marketing and administrative support positions are common examples of the backgrounds people come from who experience this revelation. The key to getting into project management from another field is to start thinking about your work activities as project experience so you can start orienting yourself toward your work as a project manager and communicating about your work as project experience. You need to filter what you’ve done, what you’re currently doing, and your future work through a PM lens. To develop a project perspective on your work, start with the basic premise that projects are how organizations adapt to change. That means that if you’ve been a part of change in your environment, you’ve probably been involved in a project, even if it wasn’t labeled and managed as a project. To reframe your experience, start with three key areas: project boundaries, stakeholders, and scope. Projects by definition have beginnings and ends, as opposed to operational or support work, which is ongoing. It’s essential to think about the boundaries of your work efforts to define “projects” within your ongoing work. For example, perhaps you provide support to a marketing department and your work day is filled with administrative activities. Consider a change that may have been made to how you do things. If a change was made to a report, what was the report process to start and what was the change that was implemented? The boundaries would be defining the beginning and end of this “project” effort. You could say it started with the approval of the new report format and ended with the distribution of the first new report. Don’t worry about whether or not there was a budget or how big it may have been, and don’t worry about how long the effort took. Just take a step back and try to find instances of where a change was made to what was done or how something was done. Then identify the beginning and end of that effort. Stakeholders are individuals or groups that are either impacted by what you’re doing or can impact what you’re doing. No matter what you do, you have stakeholders, even if you haven’t thought about them as such. Within the boundaries of your project work, think about the people who are impacted, as well as the people who can impact what you do. It might be customers or people who receive the results of your work. If we go back to the new report example, it could also be people who provide the data or inputs to the report, or someone who had to approve the new report or format. Think broadly about people who are being impacted or who think they are being impacted positively or negatively and those people who can impact you positively or negatively. Typically, we have more stakeholders than we realize and the challenge is to figure out which ones we need to pay the most attention. To begin with, just identify the stakeholders and how they are related to the project. Do they have things you need such as money or people or approval? If so, what is it? And what do they need from you? As you start to think about your work as project work, think about the scope of work within the boundaries you have defined for your project. For example, if the boundaries of your project include the development and creation of a new report, you would still need to define the scope of what’s included – and not – on your project. Is determining a new distribution method within scope or not? What about revisions to the distribution list of recipients? Maybe that’s part of the project and maybe not. If someone else is doing that independently of your project, it’s out of scope. To be sure, changing your mental model about your work does not make you an expert project manager. However, if you are looking to transition into project management, you need to communicate to others your experience in a way that demonstrates that you understand what distinguishes project work from non-project work. More importantly, thinking about what makes something a project and considering the items above will allow you to orient yourself toward your work as projects going forward. Your perspective will evolve, your questions will get better, and your ability to see the big picture will develop. A foundational class such as Watermark’s Project Management Essentials is a great resource to guide you in your professional development and help you understand the nuts and bolts of project management. Like the students in my classes, you will hear examples and experience you own confirmations and validations of your project work. As a foundational course, it covers the major areas of project management to give you a solid perspective of the work of project managers. As a live course, delivered by a live instructor, you get the benefit of hearing the discussions and questions without the constraint of having to be in a classroom. 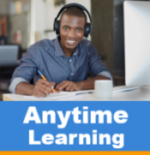 We also offer a self-paced Anytime Learning course, which allows you to learn when it’s convenient for you and gives you flexibility to work with your schedule. If your goal is to transition into project management, the good news is you probably already have more experience than you think. So, get your thoughts together about what you’ve done and start thinking differently about what you do going forward. Good luck!